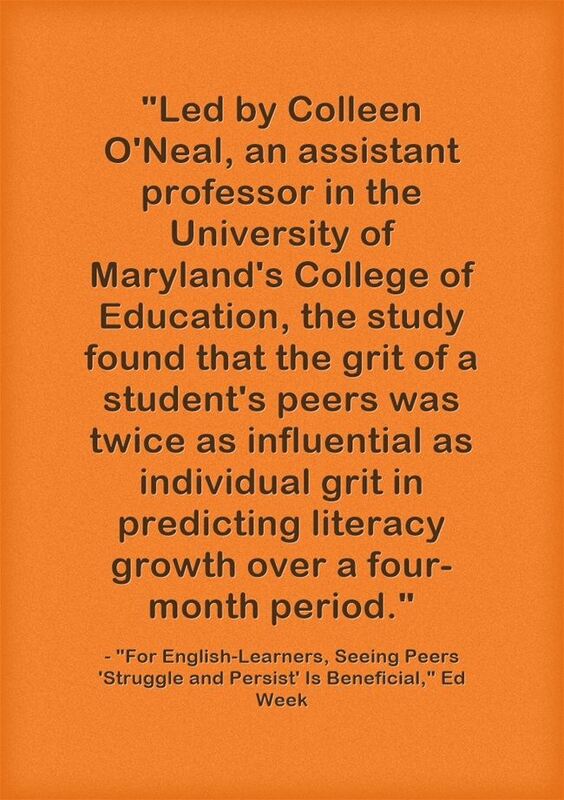 Learning The Language over at Education Week has just posted about a new study on grit and English Language Learners. The study itself, Individual Versus Peer Grit: Influence on Later Individual Literacy Achievement of Dual Language Learners, is NOT behind a paywall. I have several concerns about the research, including issues about accurately measuring peer behavior on individual students (see the Brookings Report The problem with measuring effects of delinquent peers in education—and how to get around it and the fact that this study uses student self-report to make its determinations (see Brookings Report The Limitations of Self-Report Measures of Non-cognitive Skills). Nevertheless, I will certainly be telling my English Language Learner students about the results of this study (along with saying, as I do most of the time that I share research summaries, that there’s not a guarantee of accuracy). Basically, it seems to me to mean that if everybody in the class works hard, then individual achievement increases more for everybody. Even people who would ordinarily work hard learn more if everybody else works hard, too. Its conclusions support the big push I started late last year about how everyone’s actions not only affect themselves, but others (see “Everyone Is A Teacher” Is A New Engagement Strategy I’m Using & It Seems To Be Working). In June, a study was published finding that thinking of our impact on others can have a major impact on strengthening our motivation to complete a task (see Intriguing Research On How To Increase Intrinsic Motivation). That finding reinforces that effort, which I began in April. 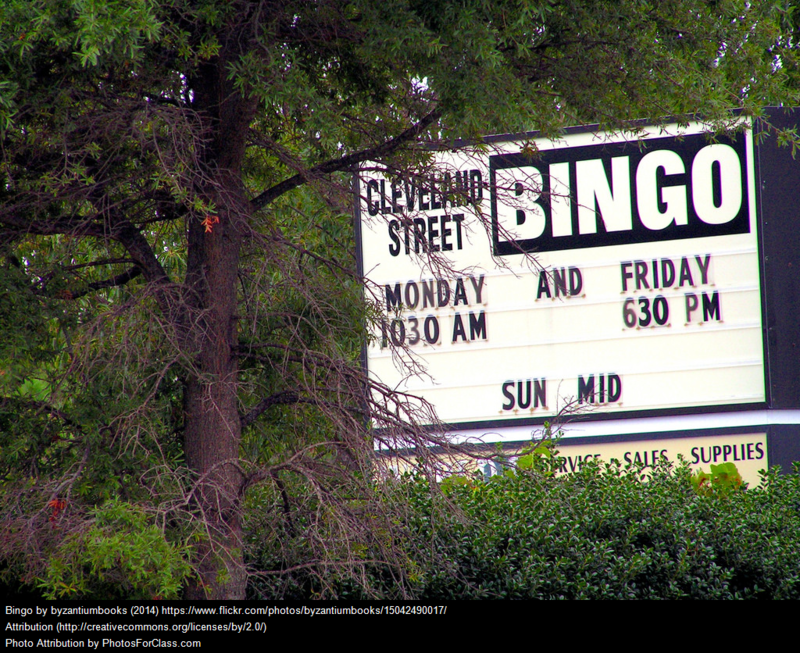 And, just last week another study came out with the same theme related to classroom management (see Focusing On The Impact Classroom Disruptions Have On Others, Not On The Students Doing The Disrupting). This new grit study is “icing on the cake.” I’m looking forward to putting it all together in one lesson for the fall. Of course, I will share what I do and its results in a future post. Larry Ferlazzo has been a high school teacher since 2003 after spending nineteen years working as a community organizer. He teaches Beginner, Intermediate, and Advanced English Language Learners (as well as native English speakers) at Luther Burbank High School in Sacramento, California.